In 2015 the double-handed class trophy for the Rolex Fastnet Race went to Kelvin Rawlings and Stuart Childerley aboard the J/105 Jester. Neither had raced short-handed before that season, yet both said afterwards that this was one of the most memorable and satisfying races they had ever done. And they weren’t alone. Throughout the fleet, whether they had won silverware or not, there were plenty of other sailors echoing the same thoughts; short-handed sailing is on a roll. Rawlings and Childerley’s J/105 is a boat that is still considered to be one of the best for the job, despite the fact that the design is now well over 20 years old. This in itself is interesting given that J Boats in general have long had a reputation for being good to sail short-handed, thanks largely to the perceived simplicity of the asymmetric spinnaker, and yet have only now launched a boat specifically aimed at this type of sailing. 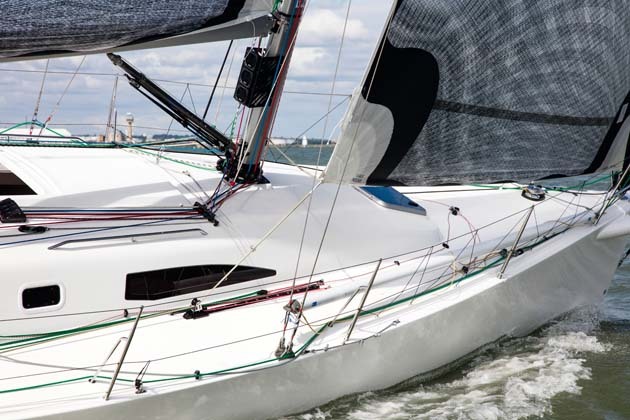 Several production builders such as Jeanneau and JPK have been tapping into the enthusiasm for short-handing with models such as the Sun Fast 3200 and 3600 as well as the JPK 1010 and 1080. But finally J Boats has joined in with the J/11S. If this boat looks familiar it is because she is based on the J/111, a boat that has proved herself successful and potent in fully crewed racing. 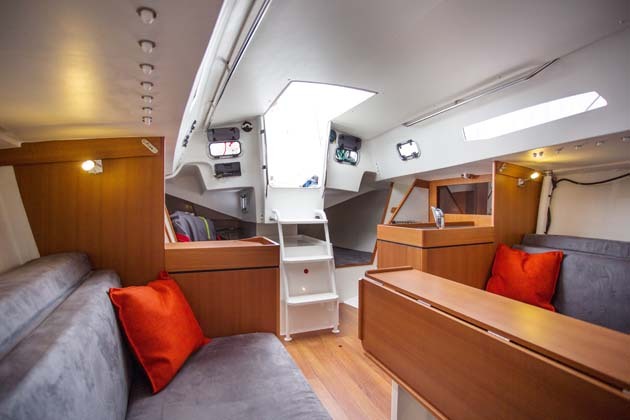 This new 36-footer shares the same hull, deck and, to a large extent, cockpit layout of the J/111, but that’s where the similarities end. The J/11S has been tweaked to make her an easier boat to sail short-handed and more competitive. As a result she has twin rudders connected to a single tiller, a slightly shorter rig and a smaller jib. To contribute towards the lack of bodies on the rail she has more internal ballast. She also has an alloy mast and boom. The changes and tweaks have helped to bring her IRC handicap down from 1.096 to 1.050, a reduction that gets her under the upper rating limit for the Transquadra race, a popular transatlantic race for single and double-handed amateur sailors over 40. 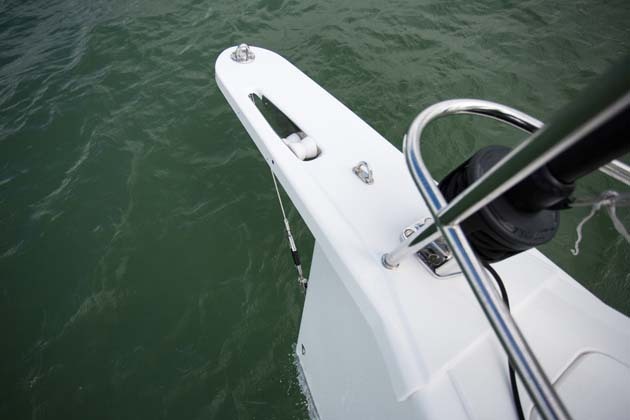 But J Boats believes that there is another key area in which the new model can score. Unlike the beamy and angular Jeanneaus and JPKs, the J/11S is a more modest hull shape and as a result her builder believes she will prove to be a better all-rounder. Even from just an arbitrary glance, the J appears to have less wetted surface area aft, suggesting she will be less sticky in the light. She’s a very seductive boat to sail, especially short-handed. Because she’s a more modest affair with a narrower beam than the other two she’s easy to get to grips with and without the wheel steering fitted in the J/111 she has a more open cockpit, which is easier to move about in. 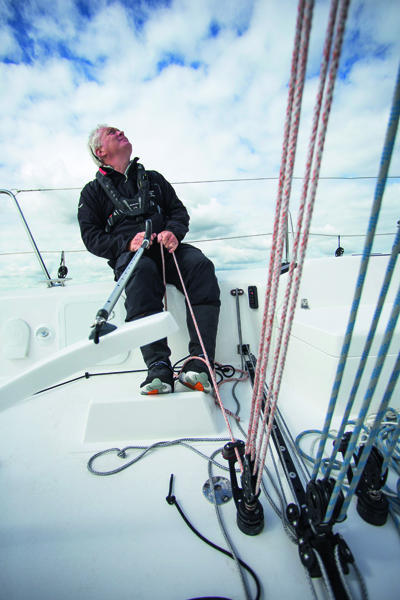 Stretching forward to reach the jib sheets or pulling up a halyard is easy, nothing is too far out of reach and with the autopilot controls positioned close to the tiller it’s easy to press the ‘auto’ button and nip forward if you have to. Not that you will want to let the autopilot steer for very long. She’s a lovely boat to sail and makes you wonder why wheel steering is so popular on most of the J Boat range. Why numb a great feel? She’s so light and responsive under sail you would be hard pressed to tell that she has twin rudders, she’s that balanced on the helm. Even when tacking and gybing she feels nimble. It’s only when you’re manoeuvring under engine that you start to feel her wider turning circle and the lack of prop wash on the rudder at low speeds. But these characteristics would be easy to live with when taken in the context of a boat that is a great deal of fun to sail. She is, as you would expect, solidly built with few frills, just a simple, practical layout above and below decks. But there is one amusing irony. 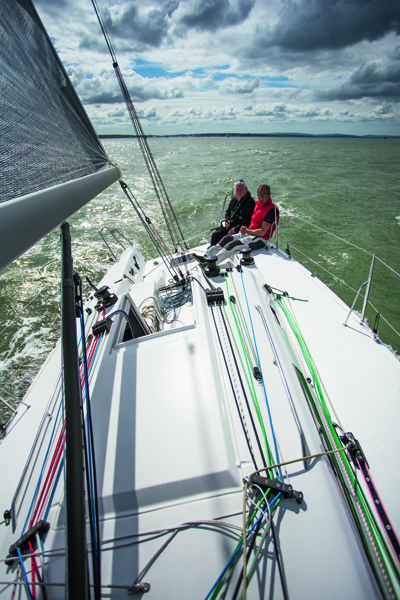 Among the many reasons for J Boats’ continued success in Europe has been its asymmetric spinnaker configuration. Not only did this open up the possibilities for extended downhill sleighrides for club sailors, but the ease with which the kite could be handled, especially through gybes, made life easier for the crew. Little wonder then that as the amateur short-handed scene started to gather pace, many saw J Boats as providing the perfect platform for both inshore and offshore double-handed racing. And yet many of those who have been sailing two-up for some time and may have started with asymmetrics, believe that symmetric kites are easier to handle for a short-handed crew. 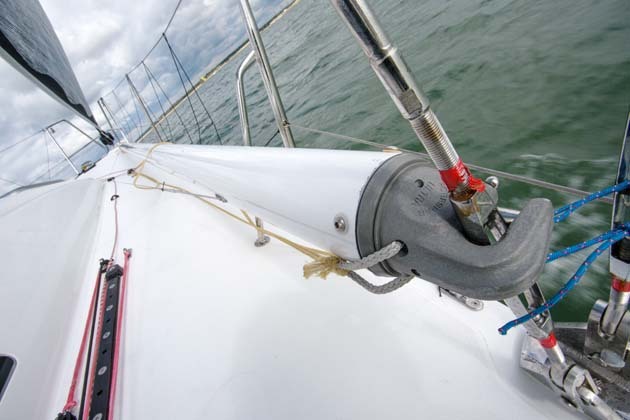 They argue that, although they may be a little trickier through the gybe in some conditions, the ability to square back the pole provides a much bigger range of downwind angles to steer, which in turn increases the range of one sail, while also making it easier to keep the helm well balanced. Some even argue that an end-for-end pole gybe on a kite that is flying all the way through the manoeuvre is easier, more stable and less risky than gybing an asymmetric. Hoists and drops are easier and less prone to a trawl with a symmetric kite, especially if you are recovering using the ‘letter box’ drop technique where the kite is gathered between the mainsail foot and the boom. None of which has been lost on J Boats, master of asymmetric racer-cruisers, which had blanked off the retractable bowsprit moulding on the first J/11S in favour of a symmetric kite and conventional pole. While I can see the logic, our test sail, performed two-up, suggested that we had a little more work to do on timing and technique! But whichever configuration you prefer, having the facility for both is a key advantage for this boat. Below decks she’s a very straightforward affair with a pair of settee berths either side of the saloon table, a small galley to port and a dedicated navigation station to starboard. Further aft under the cockpit side decks are a pair of berths and the forecabin plays host to the heads and a sail locker. All of which reminds you how much space you have aboard a 36-footer when you take five people out of the equation. The bottom line is that this is a boat that feels the right size for a short-handed crew – so much so that it seems a shame to spoil the side deck with bodies. At roughly the same length as the J/105 she also feels like a natural successor to the 680 built. All she has to do now is head out there and prove it.